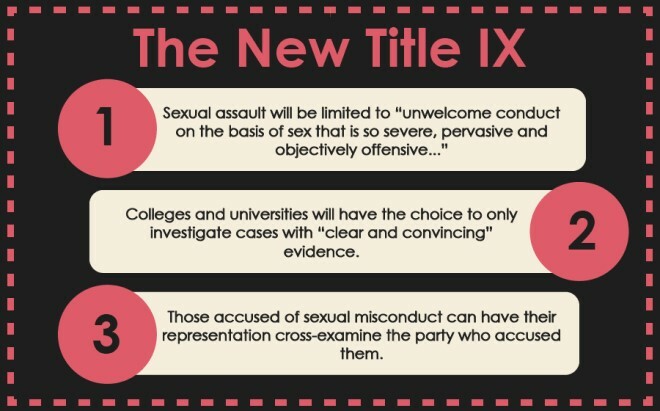 Northwestern has submitted an official comment on behalf of its undergraduate population in response to the proposed changes to the Title IX policy. The comment incorporated individual student feedback that were received following a Jan. 11 information session on the changes. While the overall session was organized by leaders from ASG, MARS and SHAPE, specific instruction on effective comment writing was provided by Illinois advocacy groups VOICES Violence on Illinois Campuses Elimination Strategies and CAASE Chicago Alliance Against Sexual Exploitation. During and after the panel, Northwestern students were encouraged to submit feedback that highlighted “the regressive nature of the changes proposed by the Department of Education.” Any comments submitted during a 60-day period would be read and considered by the U.S. government. Specific concerns from students that were in the submitted comment included allowing cross-examinations during Title IX hearings, narrowing the scope of cases to those that occurred on campus and re-defining sexual assault as misconduct that’s “severe, pervasive, and objectively offensive.” The comment also argued that the changes could disproportionately harm low-income students. A particular issue was allowing universities to use informal resolution techniques – such as mediation – in lieu of formal investigation. ASG reported that, in the 2016-2017 school year, 27 percent of sexual assault cases were handled with informal resolution. Student leaders expressed concern that the number may grow in the future if the changes become legislation. Once student feedback was consolidated, the official comment passed unanimously through the ASG Senate on Jan. 23 and was submitted to the Federal Register four days later.